This week, Coach Divine speaks about how to adapt your workouts to your lifestyle, physical needs, etc. P.S. 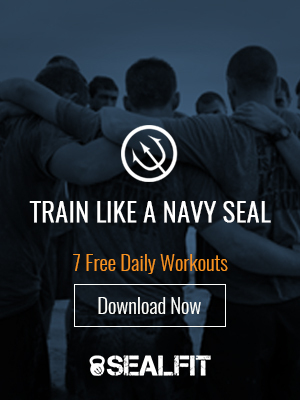 We hope you are enjoying the new look and feel of SEALFIT.COM. As you may have seen, we also launched a brand new, totally revamped version of our SEALFIT online program — which as you know — is the #1 place to get access to all the tools SEALS use to push the limits of their performance. We have special pricing until Thursday, May 22 at 12pm EST. Click here to find out details. We’ll send a few reminder emails as well.